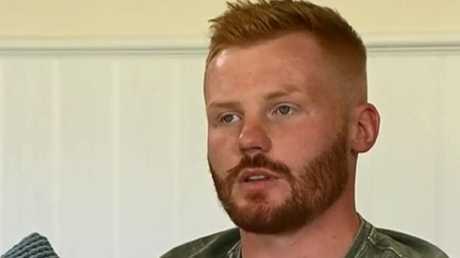 Festival-goer Andrew Pepper was asleep in his tent when a car ploughed over him. 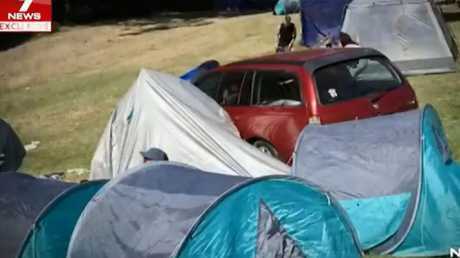 A FESTIVAL-goer in Victoria was asleep in his tent when a runaway car ploughed over him, leaving tyre marks on his back and crushing him underneath. 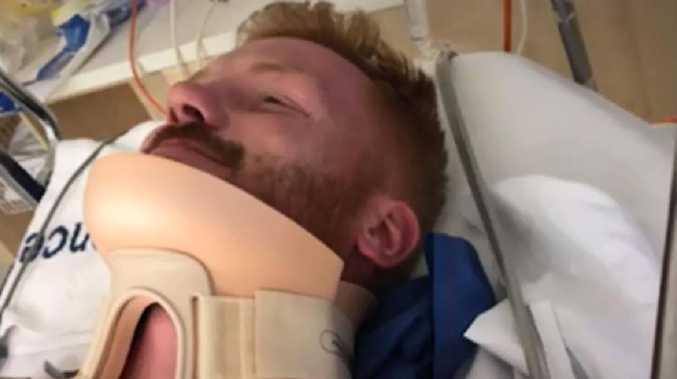 Andrew Pepper was at Falls Festival in Lorne, a town on the Great Ocean Road, with his mates when the New Year soon turned to disaster. On New Year's Day as people were leaving the popular music festival, Mr Pepper decided to have a nap in his tent, which was among other tents and parked vehicles. Initially, he and his friends refused to camp at the spot, a steep hill, because of fears it was too dangerous particularly during the wet weather. 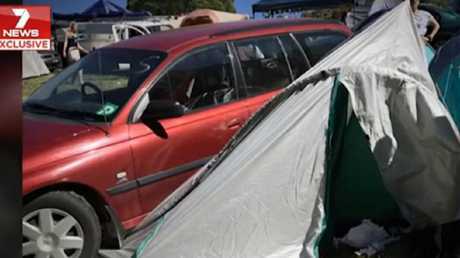 As the 24-year-old plumber from Geelong went for his nap, a car slid down the hill, crushing his tent - but he had no idea what was happening until he woke up to people screaming. 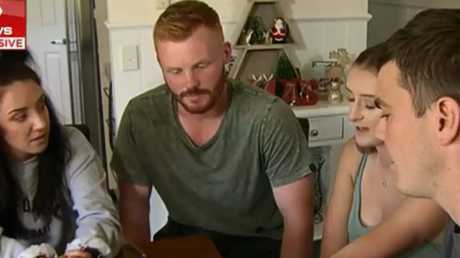 "If I was lying on my back - the chances are I probably would've died," Mr Pepper told 7 News. 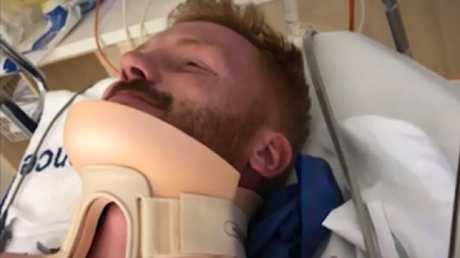 Andrew Pepper was asleep on his stomach when a car slid down a steep hill at Falls Festival in Victoria, running over him. He and his friends were already wary of the dangers due to parked cars surrounding hundreds of tents on the steep hill. "The sensation was that I was getting squashed and like you couldn't move. "The car was on me for a minute or so." Mr Pepper said he had been sleeping on his stomach when the car came to a halt on top of him. He had tyre marks on his back, and dipped in and out of consciousness. His girlfriend Elizabeth Hughes called desperately for help. She had taken a photo of his back to show that he had been run over. "It was the scariest thing I've ever seen, to see him trapped under this car and I just kept screaming, 'Get it off him, get it off him,'" she told 7 News, when friends rushed to his side pulling him from the car. Mr Pepper said he suffered a fractured vertebra and is waiting on an MRI scan to investigate possible bleeding on his brain. 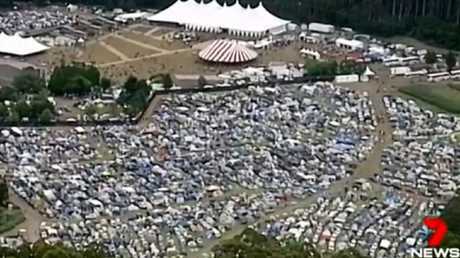 He claims festival-goers ignored the warning signs of where he was forced to camp. "My friend Kyle was the first car in our convoy and he stopped traffic and said, 'We're not camping there,'" Mr Pepper told ABC. Mr Pepper, 24, woke up to people screaming and realisation he was trapped. Paramedics told him he only survived because he was lying on his stomach, not his back. "We went there, we didn't want to, we knew it was dangerous and the proof's in the pudding now, isn't it?" 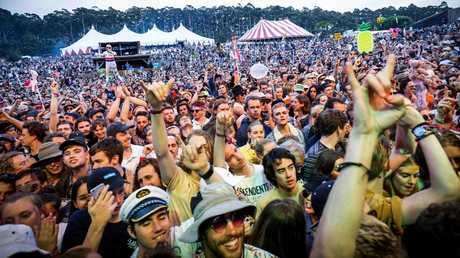 Falls Festival released a statement saying it was "saddened" to hear that Mr Pepper was injured as patrons were leaving the event site. "We have multiple levels of safety checks that go into the planning of the event site," the statement said. The crowd at Falls Festival in Lorne. 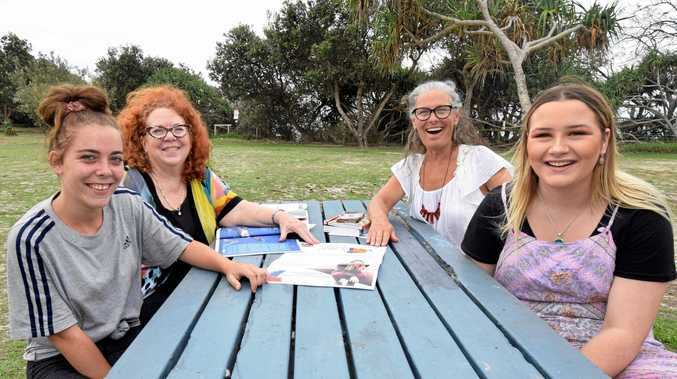 Festival revellers set up camp at the three-day music event. "We have experienced event staff who park cars on site, to ensure they are parked on safe angles and for risk mitigation purposes we park cars nose to tail to prevent movement. "Police were engaged onsite as soon as the incident occurred and the patron was handed to our medical team. "Due to the nature of police matters, and the privacy laws, we are not privy to information regarding the patron's wellbeing post-incident unless they contact us directly." Mr Pepper is recovering at home, thankful to have survived the terrifying ordeal. Mr Pepper is now recovering at home but is waiting for an MRI scan to investigate possible bleeding on his brain.